In part 2 we got our basic dialog box look and feel working, but still had some tidying up to do. This is very similar to the previous shape drawable that we defined in part 2. The aspects worth highlighting are that we are using a solid fill rather than a gradient (line 4), and we are only rounding the top two corners (line 5). 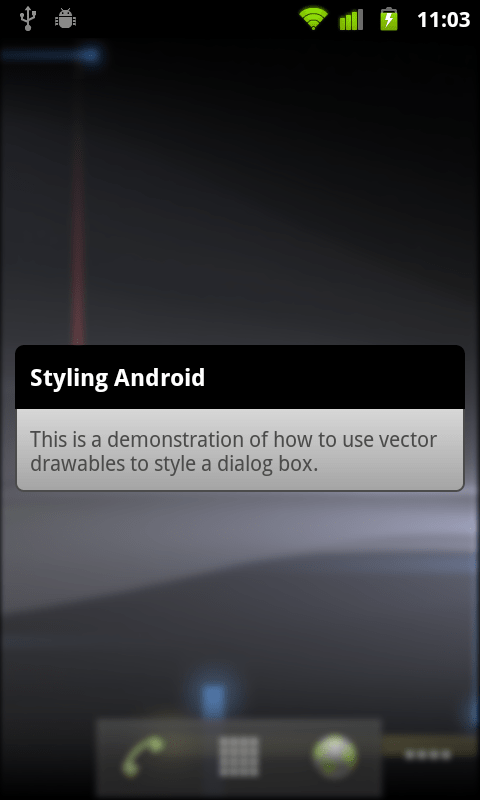 The main change here is on line 14 where we are using the dialog drawable instead of the dialog_background drawable. Also we have commented out the margins that we applied previously as we don’t want to apply the margin twice. Either method is fine, but it was worth showing that there are different ways of achieving the same result (as is often the case in Android). What we are doing here is getting the layout parameters for the window (line 6), overriding the “dimAmount” value to turn off the dimming (line 7), applies this back to the window (line 8), and finally sets the FLAG_BLUR_BEHIND flag on the window. That’s it! 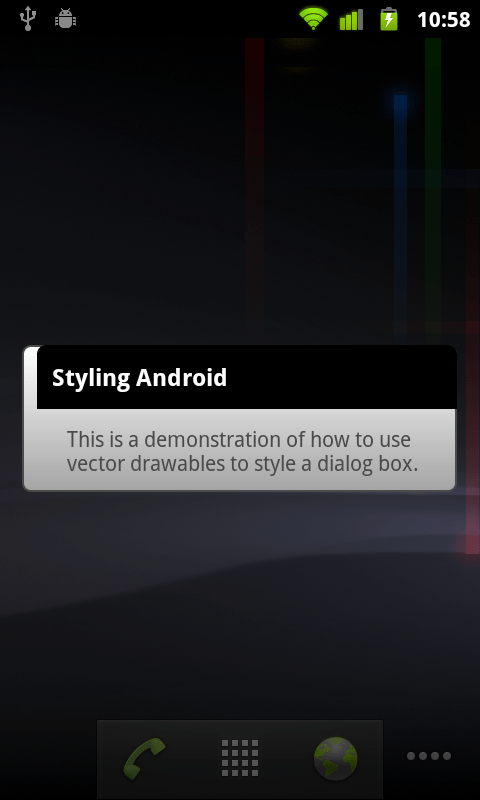 Hopefully this article has given some insight in to how vector drawables can be used to apply some simple but visually appealing styling to your Android apps. 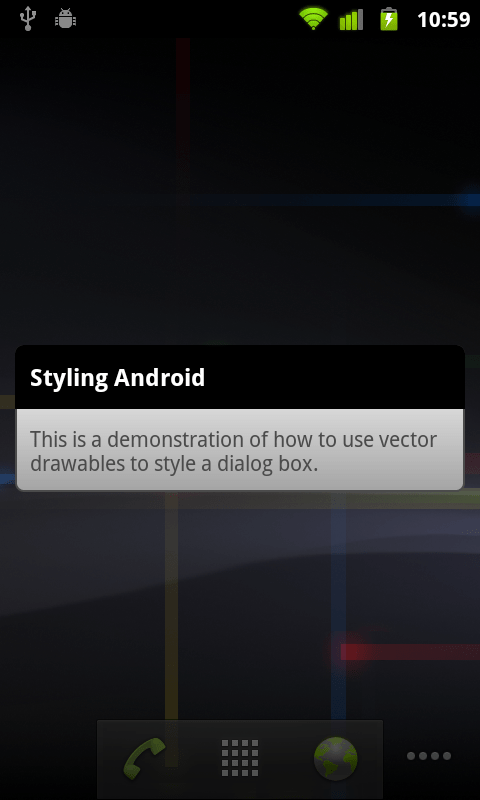 In the next article, we’ll have a look at state drawables which allow you to style individual widgets. there any way to incorporate this directly to an alert dialog? rather than through an activity? Yes there is. I’ll write an article on it, which should be published on 17th June. Awesome! I just love your blog.